Latisse™ is the first and only FDA-approved product used specifically for the treatment of hypotrichosis. 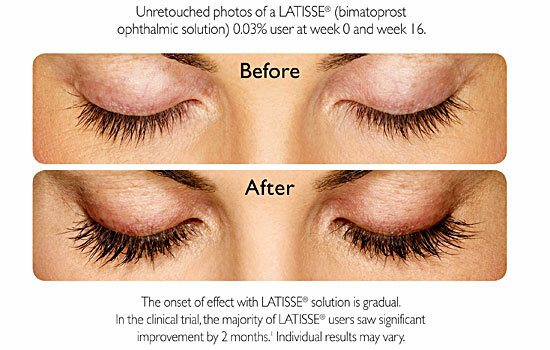 Latisse™ solution is a prescription treatment used to grow eyelashes, making them longer, thicker, and darker. It is recommended that you use Latisse™ once nightly until you see the desired results. You can expect to see results within two months of starting treatment.